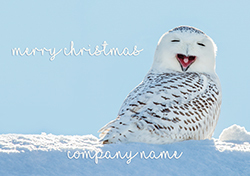 Our selection of Nature & Wildlife Christmas card designs consist of the some beautiful landscape scenery, some festive animal favourites playing in the snow, and some would say the great British weather. 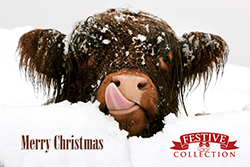 Our Christmas cards can be front personalised to suit your Christmas needs. Add your own touch with a logo, name, address or contact information such as telephone number, email address or website. Order your Christmas cards now and you will be eligible for our 10% discount, hurry though as it runs out at 5pm on the 31st October. Want to have a look at the real thing? 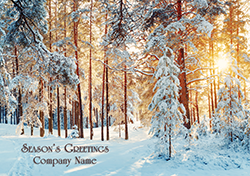 If you’re unsure on what Christmas card design you would like this year, then why not request up to six Christmas card samples and get them sent to you free of charge so yourself and colleagues can pass them around the office and make a group decision. 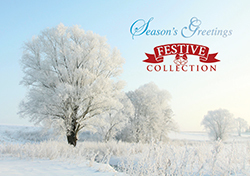 Click here to start browsing through our great Christmas card selection and spread some joy this Christmas.